kula shakerz 2008-08-23, 20:11 pm. 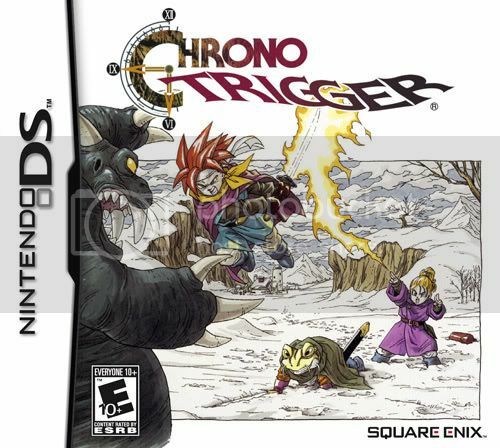 The official North American Chrono Trigger DS cover was revealed by Square Enix yesterday. Do you think it looks familiar? It might be because its identical to the original Super Nintendo cover. Chrono Trigger DS is hitting North American shelves on November the 25th. In related news, Chrono Trigger is celebrating its 13th birthday in North America on August the 25th.